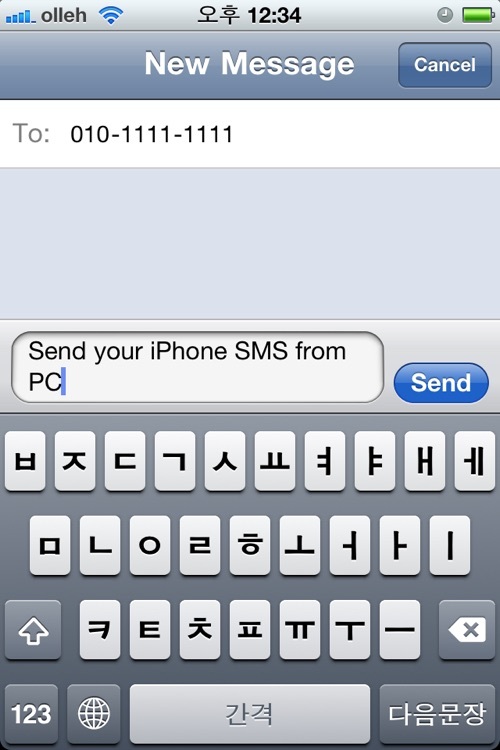 ★ Send text messages (SMS) from PC via your iPhone. 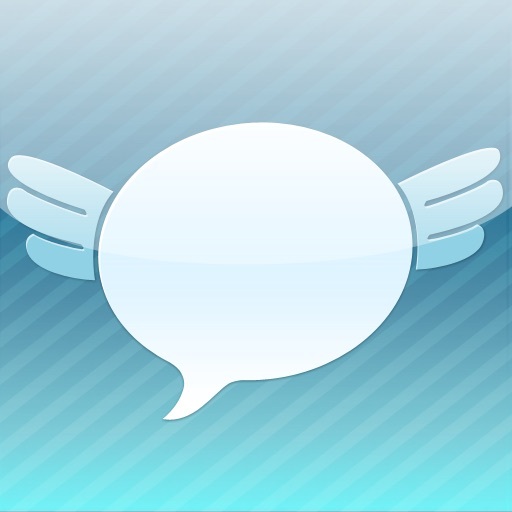 ★ Send SMS with your iPad or iPod Touch or other devices. 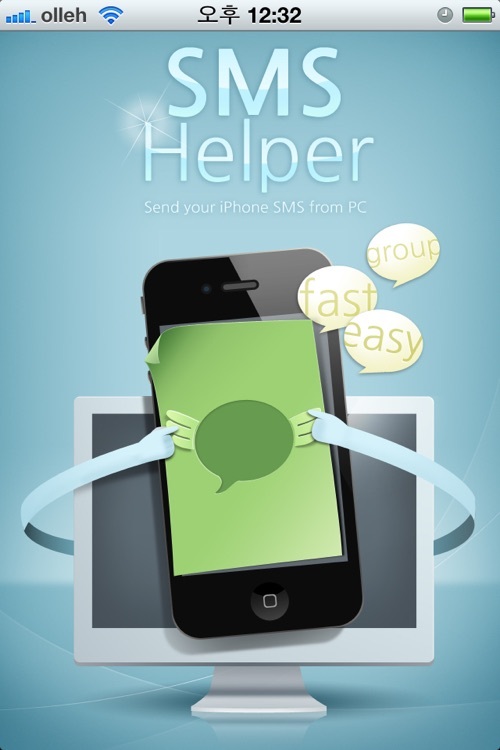 ★ This App lets you send SMS from any web browser via your iPhone. 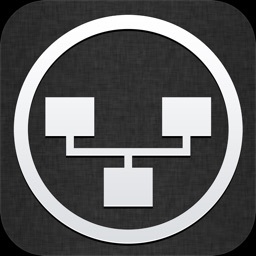 ★ Lauch a browser from another computer on the same network and navigate to IP address. 1. Launch the App. 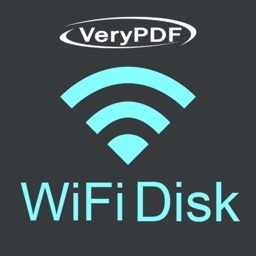 It shows your iPhone's ip address. 2. Launch a web browser from another computer and navigate to the ip address. 3. Input Message and click "Transfer" button on the web. 4. This App will show SMS window. 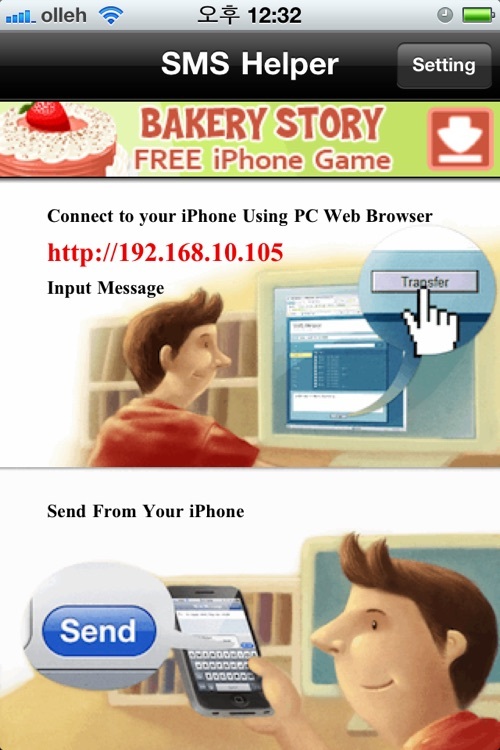 Click "Send" button to send message via your iPhone.